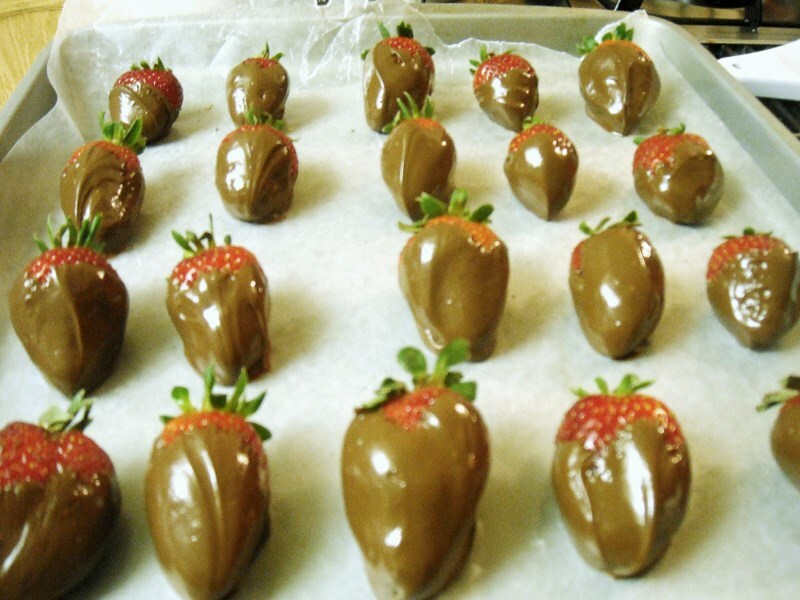 Just a sneak peek of my chocolate-dipped strawberries. Cool twist: I injected those suckers with a special ingredient! I’ll make a full post for them next week when my article is published. Can you guess what I filled those red guys up with?